Cynics will be quick to assume Scientologists are behind the complaints, though there is no proof in the matter. This product is not currently offered by Amazon.co.uk because a customer recently told us that the item he or she received was not as described. We are working to resolve this as quickly as possible. In the meantime, you may still find this product available from other sellers on this page. 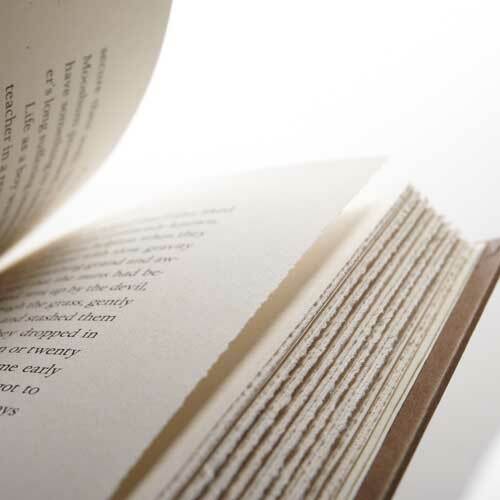 Deckle edges, show here, traditionally signify a higher quality hardback. Some in the UK disagree. Which begs the question: does this mean that a book’s rough cut pages have succeeded in achieving what well-paid lawyers failed to do, i.e. have a book that their clients weren’t happy with removed from sale? That would be amusing enough, but perhaps there’s a further irony. Does it mean that a publisher’s own production department — that of Random House US — has unwittingly, and at its own expense, succeeded in having a book critical of Scientology removed from the UK’s most popular online bookseller? Because it’s Scientology, one is always suspicious that this isn’t the whole story. The more one thinks about it, the odder it becomes. Amazon.co.uk clearly states on its website that the book is Deckle Edge, although there is some doubt over when it added the description. But it seems it covered itself. It didn’t need to do anything. And surely it has sold Deckle Edge titles into the UK before? The trouble is, because it’s Scientology, one is always suspicious that this isn’t the whole story. To put it bluntly: have Scientologists been complaining to Amazon.co.uk about the deckle edges in order to have the book removed? Has Amazon, overzealous to offer “superior customer service” and not alienate customers, removed the book from sale? You know what this means — it’s Decklegate!! You will recall that this is the title Bantam Press was going to publish in the UK, but backed out of because of the UK’s more stringent libel laws. Yet since the title is easily available elsewhere in the UK — from Blackwells online, from Amazon-owned The Book Depository to name two — Bantam Press might arguably be thinking that it could have safely gone ahead. After all, if there was a case to be brought, why has there been no action taken against Amazon.co.uk or Blackwells, under the dissemination clause? Mind you, hindsight is always easy. It’s different when you have the daily hassle of lawyers’ letters. Meanwhile, he’s gearing up for more foreign sales at next month’s London Book Fair — a couple have come through already — and is speaking to UK publishers about mass-market paperback rights. And somewhere out there, someone is perhaps working on new Scientology exposé — they’ll just have to watch the finish on those pages. So tell us, what do you think, is it a surreptitious protest on the part of the Scientologists? Or has Amazon simply overreacted?